Everyone has Christmas traditions. Some are good and some should not be carried on. One of my favorite traditions growing up was making gumdrop cookies with my mom. 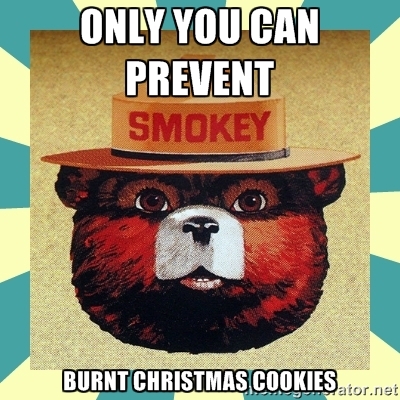 Unfortunately only one of my children enjoys this tradition and likes eating the cookies. Just as I looked forward to the time with my mom, I look forward to the time with my daughter, Lexi. I am sad to say that this year she will not be home to share this tradition with me. She is deployed and will not be back until sometime next year. Before she left, I promised both of us that the day after Thanksgiving, I would make the cookies and mail them to her. Today was the day to make cookies. In all honesty my mood was like the weather, cold and rainy. I just wanted to cry because I missed her so much. I forced my way through cutting the gumdrops into quarters before I decided it was time to take a nap. Once awake, I pulled out my mom’s recipe and ingredients. I dug through the cupboard and found the measuring cups and spoons, something I do not use. It had been a year since I made them and I wanted to be sure they were perfect. I was very proud of myself as I measured, mixed and followed the instructions. As I inspected the dough, I remembered my mom’s voice saying the same thing every year, “I think we need a little more gumdrops.” Back to the cutting board I went and cut up the rest of the bag. I wanted to answer that memory in my head, “I have done this before, I know how to make cookies. Besides, I followed your recipe. I even measured. I have this under control.” Into the oven they went. Twelve minutes later I opened the oven door expecting to see perfection. I was horrified to see 12 flat, brown blobs with pieces of gumdrops protruding like unhealthy growths. Measuring is not a tradition that I will be carrying on. Contemplating a solution to this mess I remembered the emergency instructions my daughter emailed me before she left. In between banking information, passwords and her friends contact information she inserted cooking instructions. In bold capital letters she wrote, “MOM DO NOT FOLLOW THE RECIPE. DO NOT MEASURE. You know it never works.” I hate it when my children are right. I think I will send her the cookies anyway.